I would like to have a tree going down, where the branches join in the middle of the two "columns". 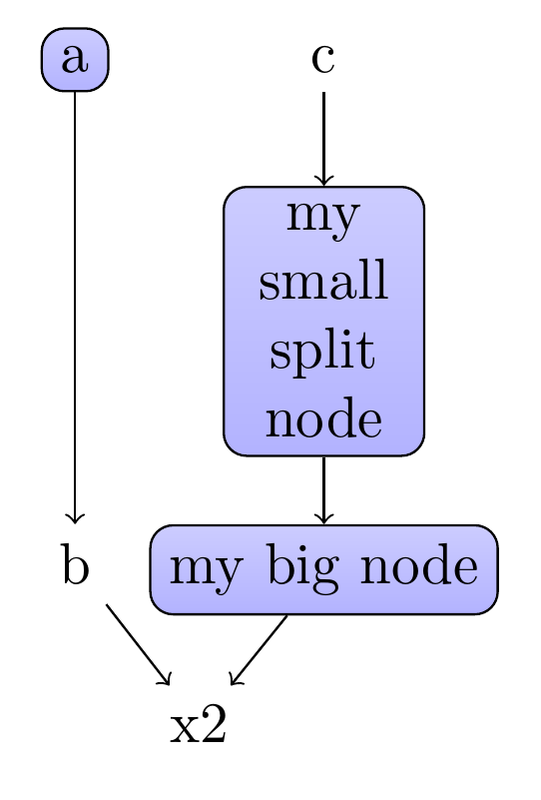 Ideally, the branches would be far enough so that they don't touch each other, even when some nodes are quite big. Since this is a tree proper, if read bottom to top, I'd use Forest as this will automatically space things out for you. You can even “reiterate” over a path in conjunction with the simple option. However, in this case, the default placement strategies will not work and you will need options like layered layout from the graph drawing libraries, which need LuaTeX. you can't, I think, expect this to work without LuaTeX and a suitable layout algorithm. If you're OK with that, however, then the approach works fine. 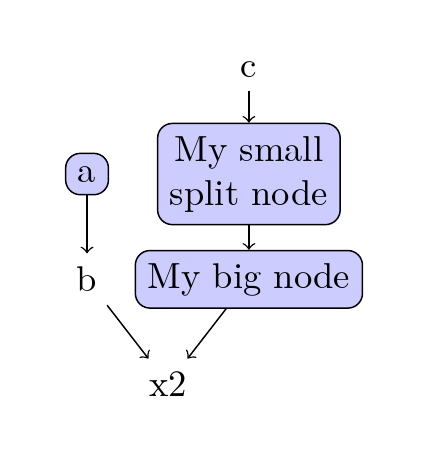 TikZ: position a node depending on width of text? 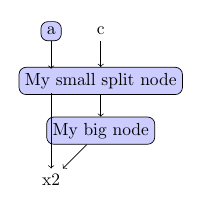 Is it possible to use the width of one TikZ node to calculate the width of another?